By Steven Anderson, Vice President of Debating Society. Third Year student in Politics & International Relations. The Debating Society is holding an open discussion forum tonight on the US presidential election and its global impact. There will be an introductory talk by Dr Russell Bentley and Dr Will Jennings and then discussion will be opened to the floor. As the once every four years US presidential election circus comes to a close, I detect a sense of anticlimax.The election of the leader of the free world is something in which we have a great vested interest but no actual say. It costs billions of dollars, provokes heated exchanges and gives newspaper columnists and politics students another chance to explain the intricacies of the US electoral system. It seems almost redundant to ask: what does this mean to us? Interestingly, a recent poll of 32 countries suggests that 42% of the world’s population believe they should have the chance to vote in the US Presidential election. My experience is that most students in Southampton support Obama but have some dissatisfaction with his actual record. Certainly for the majority of people in Britain, it’s an easy choice between the two candidates in terms of social issues. However, there’s always some qualification or hesitation; whether it’s the economy, Obama’s use of drones or sheer dissatisfaction with the available options. I should make a confession here: I was a speaker in last week’s debate on ‘This House Believes Romney is better than Obama’. As part of the opposition, my role was to tear into Mitt Romney’s record as a politician and as a businessman, as well as the idea that he could ever be leader of the free world. When I talk to people about debating in general, I sometimes detect a sense of frustration that the topic wasn’t fully explored. This is particularly the case for the US election because of the partisan nature of the discourse. Thursday’s discussion forum is a great opportunity for you to have your say and find out what others think. The debate will be chaired and there will be some structure to the discussion. However, the emphasis is on what you want to discuss and the direction you want to take it. My view is that the best type of debate is when there is real engagement on the topic; when people are genuinely trying to respond to other speakers and their arguments. Personally, there’s a lot of things I can’t make my mind up about and I look forward to hearing what people have to say. To me, something that encapsulates the wide ranging effects of the presidential election is the ‘Global Gag Rule’ or the ‘Mexico City Policy’. Since 1973, the election of a Republican president means that the US withdraws funding for any International Health Organisation that provides abortions or even discusses them as an option for family planning. This is just one issue, albeit one I consider to be incredibly important. It provides a reminder that the US is still the major power in the world today. I hope you will participate in Thursday’s discussion forum. I am also looking forward to introduction with Dr Russell Bentley and Dr Will Jennings. There is a reception in Nuffield Bar at from 7pm and the discussion will start around 8pm. All the details are here. I also want to take this opportunity to plug the Debating Society. We have weekly debates on a wide range of issues from current affairs and politics to science and debates about the University. 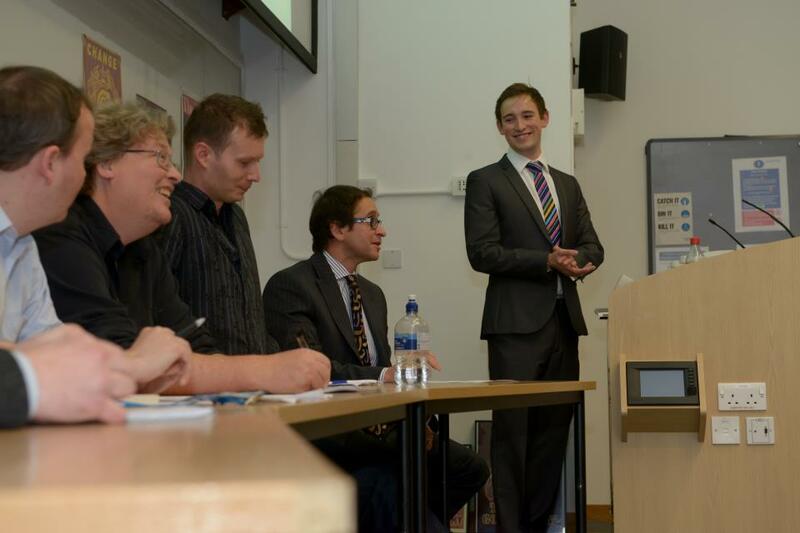 Debates are held in Nuffield Lecture Theatre A on Thursdays. Additionally, coaching is at 6pm; we run different groups for all levels of confidence/experience. If you’re interesting in coming along or getting involved; all society events are posted on Facebook. If you would like to find out more, here is the URL.